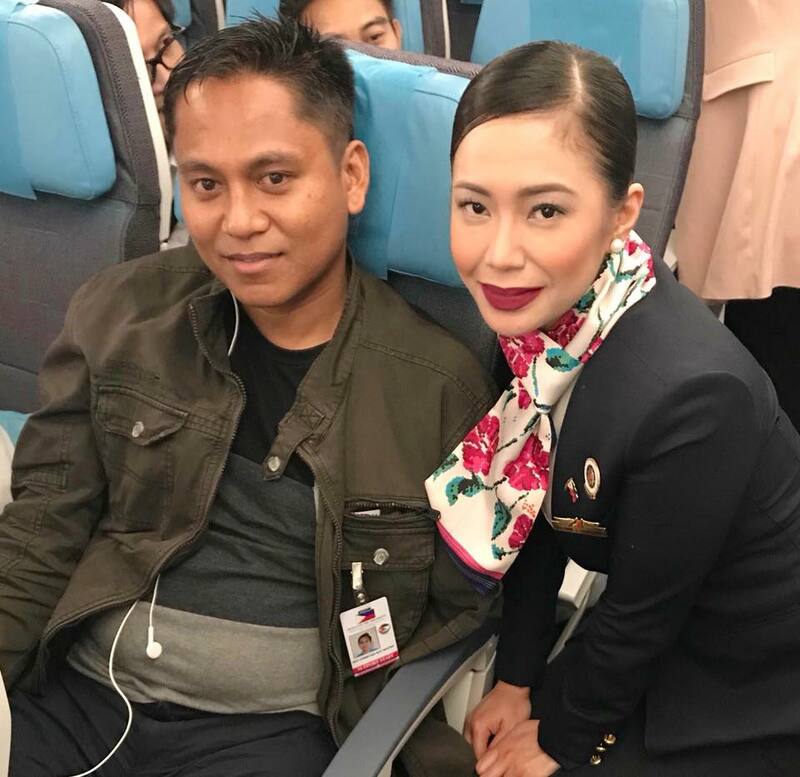 A Facebook post from a Philippine Airline Flight Attendant went viral on social media debunking the false news regarding the big number of President Rodrigo Duterte's delegation in his recent historic visit to Israel. 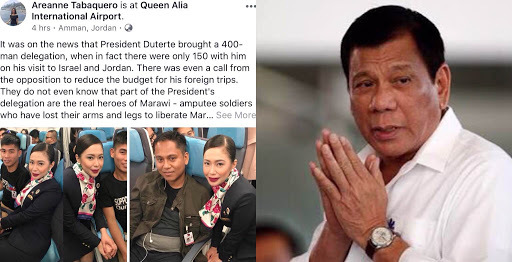 Ms. Areanne Tabaquero one of the Philippine Airline (PAL) Flight Attendants during the President's four-day official visit to Israel recently posted her statement refuting the news report that Duterte's party supposedly numbered around 400. Tabaquero revealed that among those who were on the trip are brave soldiers who survived during the four month stint in Marawi fighting the terror group Maute-Islamic State in Marawi City. "There was even a call from the opposition to reduce the budget for his foreign trips." 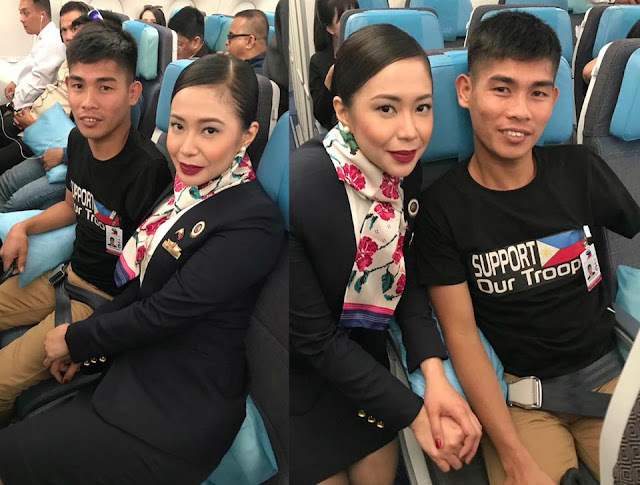 She also shared during her chance to talk with the soldiers how grateful they are to President Duterte for giving them the chance to experience a religious journey in the Holy Land. Despite of the effort of President Duterte and his administration to fulfill its campaign for the Filipinos, Tabaquero saddened how these mainstream media only focussed on the "negative news" of the government. "It is just sad that the media would most of the time cover negative news about the president and his administration. Umay na umay na ako kay Trillanes sa totoo lang." While Presidential spokesman Harry Roque also refuted and said that "The total number of official delegates and accompanying delegates consists of 46 people total. 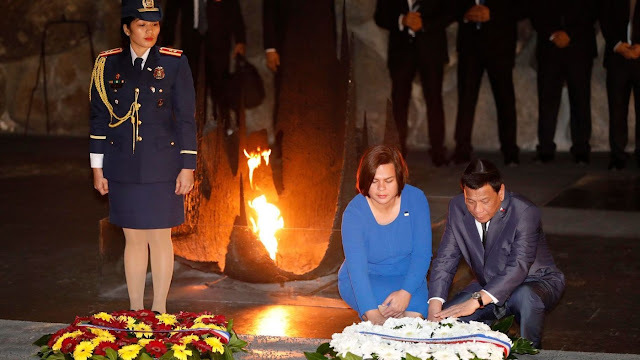 That's in the official list,"
The President visited Israel for an official visit upon the invitation of Prime Minister Benjamin Netanyahu where he also paid visit the Yan Vashem Holocaust museum. 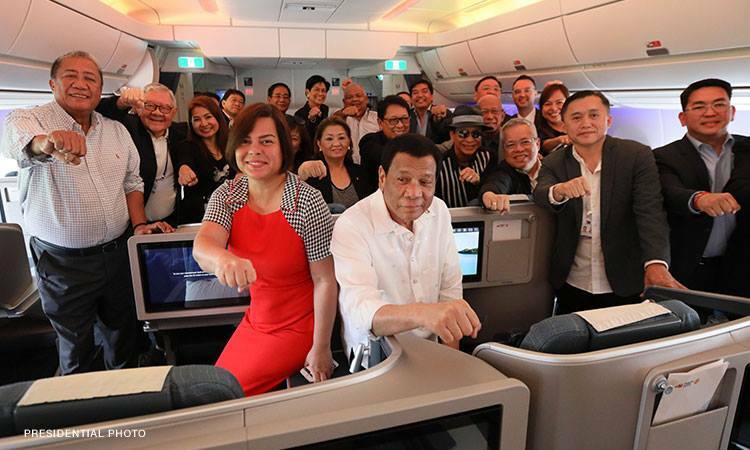 The President’s delegation to Israel includes his daughter Davao City Mayor Sara Duterte Carpio and his grandson Marko Digong, Executive Secretary Salvador Medialdea and 12 other Cabinet members. They are very happy that they were able to experience the pilgrimage in Israel which allowed them to see their lives' new meaning and purpose after the war. "nagpapasalamat kami kay Prrd, ma'am kasi hindi niya kami pinabayaan pati mga pamilya namin," they said. It is just sad that the media would most of the time cover negative news about the president and his administration. Umay na umay na ako kay Trillanes sa totoo lang.